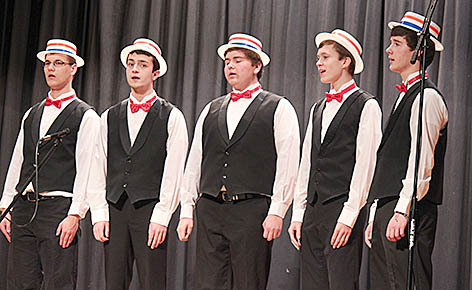 Boone Central choir members (above) closed out their “Broadway Spectacular” concert with music from Grease last Sunday afternoon, March 19, at the school gym. 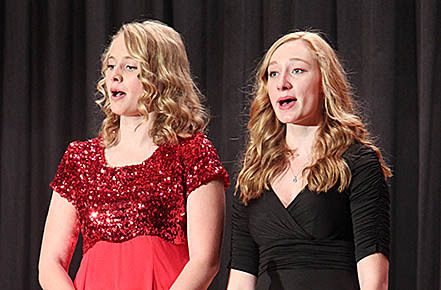 The two-hour program of Broadway tunes featured the 24 choir members and the 15 jazz band members, as well as many small groups, duets and solos. Directors were Michele Wright and Whitney Paulson. Accompanists were Jill Nore, piano, and Nickolas Thies, trap drums.